Have you ever thought about using estate planning tools including a living trust to protect your loved ones and your own future? If so, scheduling a consultation with a knowledgeable estate planning attorney is strongly recommended because a living trust has to be properly drafted and funded in order to be valid. People often assume that trusts can do everything, however, not every problem is solved by having a trust. Protecting minor children by holding money in the trust until they are responsible enough to manage it themselves. Reducing estate taxes, particularly if your state assesses their own taxes as well. Keeping assets inside the family if you are concerned about potential divorce for your beneficiaries. Protecting your grown-up children from not being able to manage the money due to alcohol, drug related issues or mismanagement, allows a trustee to hold the money for the lifetime of the child and distribute it as necessary. Avoid probate. If you place assets inside your trust during the course of your lifetime rather than relying on your will, you can avoid the probate process and make things easier for your loved ones. Ensure privacy within the family. A will that is probated becomes matter of public record along with personal details about you, such as an inventory listing of your assets and the value of those assets. Using a living trust can help to guard against this. Protect you while you are still alive. If the trust is funded during your lifetime and you later develop an incapacity, a successor trustee is eligible to manage the trust assets on your behalf. This important for those people who do not have children and those people who are single. Schedule a consultation with an estate planning lawyer today. If you are thinking about the best way to protect yourself, regardless of the current political laws surrounding estate and tax planning, it’s a good idea to engage with a lawyer who also has a background in asset protection planning. Most people don’t understand what asset protection planning includes until it’s too late. Shielding your assets from creditors and predators in advance, however, is essential if you don’t want to learn the lesson the hard way. As a client, you will want to consider all real estate, family business, investments accounts and life insurance interests by transferring them into a trust, if possible. Issues like a family business can complicate your estate planning significantly. Since a family business usually seen as a long-term investment, you might want to sell it into a trust. This will give an income stream to older people who want to give up the day to day operations and responsibilities of the business without losing all of their access to the security of the financial security provided by the asset. Business interests should typically be sold when the value is modest, so that growth can occur outside of the individual person’s estate. Selling off a business interest also allows for things known as valuation discounts, such that greater equity goes into the trust. 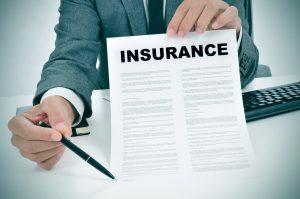 Life insurance can also be sold into a trust in order to avoid three years look back issues. In the event that you choose to gift life insurance into an irrevocable trust and pass away within three years, typically the internal revenue service will put that asset back into the estate, but a sale of the life insurance policy into a trust can avoid this problem. Finally, real estate can be sold into a trust for similar reasons as family businesses. If you wait until a legal claim or issue has already come up, the options for really protecting your assets are much more limited. That’s why you need the support of an attorney months or years in advance. Protecting these assets and also considering the different ways that a family business or an individual could be exposed to the risk of lawsuits and other challenges should be carefully considered with the help of an experienced estate planning attorney when you are planning to look forward into the future and to do as much as possible to prevent problems and personal liabilities. What Happens If You Inherit Property Overseas? Many people wish to pass on valuable property, including that which may be located in other countries, to their loved ones. But what happens when you inherit property overseas. It might initially seem like a dream come true but it could come with challenges. Many Americans who inherit property overseas will have to navigate a very complicated foreign legal system and often in another language. The amount of paperwork associated with these international receipts of materials in and of itself can be overwhelming. There are accounts that must be transferred, expenses that must be paid, and other issues that may arise based on the type of property you inherit. Furthermore, there may be a legacy associated with the property that you receive, making it difficult to hold up to these expectations if you were not anticipating the receipt of such property. When an American inherits property overseas, it falls under foreign statutes. This means that wherever the real estate is located, the laws of that country govern it. 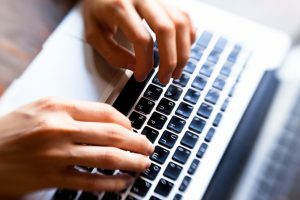 This makes it all the more important to ensure that if you have access to foreign property that you plan to pass onto your loved ones, that you set aside time to talk to estate planning professionals in that local area about what this might look like for your family and how to best avoid challenges for them in the future. Are There Significant Tax Consequences of Gifting After Death? Your parents may have the best of intentions when passing along assets to you after they pass away, but the truth is that by making planning considerations during the course of their life time, they are actually setting their beneficiaries or children up for much better success. This is primarily because of what is known as the stepped-up basis. There is a major difference between gifted and inherited assets and how you choose to pass these on to your loved ones can make things much easier for them. If your loved ones choose to gift something to you over the course of their life time, you will have the benefit of paying same capital gains taxes that they would have if they were to sell those assets today. However, if they gifted to you upon death, you may be responsible for a range of different taxes and will have to pay a much higher amount due to these stepped-up basis. 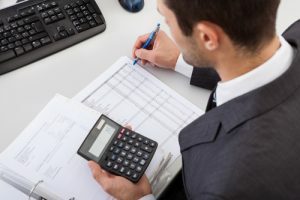 The tax basis of any asset that is held until a person’s death is officially stepped up to fair market value, which means that setting aside time to speak with an experienced estate planning attorney can help you to avoid many of the most common problems and challenges surrounding the very process of passing things on to your loved ones. 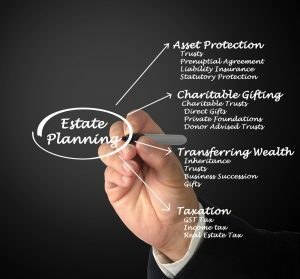 Although more people are recognizing the value of a simple estate plan, asset protection planning is also garnering popularity among people who are accumulating significant assets who wish to protect them. 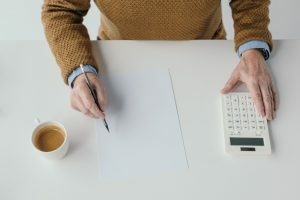 It may seem intimidating to put together an asset protection plan as the very name seems to indicate that you may have significant wealth to your name, but the worst thing you can do when it comes to asset protection planning and estate planning is nothing. If you become incapacitated or suddenly pass away without an estate plan, you make things much more complicated for your loved ones. You could also lengthen the process for them to go through court to deal with your various assets and this could be catastrophic for your taxes as well. Being exposed to risks over the course of your life should prompt you to schedule a consultation with an asset protection planning attorney. Without the appropriate legal documents and strategies in place, there’s no guarantee that the people that you want to handle your estate or your business will be able to do so. Family members frequently don’t know how a deceased person wants to distribute their assets and what he or she wanted in terms of funeral arrangements. Asset protection planning goes one step further to consider the benefits of protecting your interests now while you’re still alive from creditors and other predators. Schedule a consultation with an asset protection planning attorney to learn more about how the process of estate planning can assist you with establishing assets well into the future. Many wealthy individuals set aside time to sit down with an experienced estate planning attorney to talk about how their bonds, stocks, private equity and more are passed down to heirs. However, they frequently leave out their art collection and do not allow beneficiaries to have the appropriate information to have it valued and protected. The Art Basel, Miami Beach BS Study called ‘For the Love of Art’ showed that up to 87% of current art collectors intend to pass their collection down to their children, but nearly 60% have not told their heirs how to sell it, appraise it or manage it. The UBS study was part of a bigger research project, looking at more than 2,400 investors that had at least a million dollars in investable assets. For the purpose of the art collection study, 363 art collectors were evaluated. Many children of art collectors do intend to keep the art that their parents pass down, up to 81%, in fact. However, less than half of those art collectors have even had their art appraised, which is a crucial step for protecting the valuable pieces now and well into the future. In the process of international estate and trust planning, there are many different details that need to be addressed to maximize the financial health of families that have connections to overseas countries and the United States, and to minimize the potential tax implications. 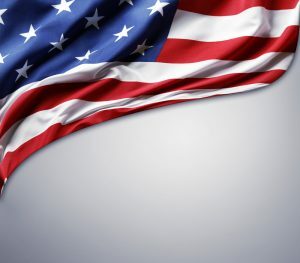 There are many concerns that will become more prominent in the coming years about proper succession planning and the transfer of wealth for U.S. citizens living abroad. Many of these individuals have a concern about reducing their estate tax liability upon the death of the U.S. citizen wherever possible. Succession planning strategies that are implemented to minimize or reduce estate tax obligations should be carefully crafted so as not to trigger adverse tax consequences down the road. Scheduling a consultation with an experienced estate planning lawyer is the only way to know for sure that you have considered all potential obstacles and issues in your individual plan to minimize tax obligations. The right attorney can be a significant asset as you raise questions and ensure that your plan comprehensively addresses all of your primary concerns. Schedule a consultation with an estate planning lawyer today to learn more. The opioid crisis has significantly affected many families across the country. The growing epidemic of addiction is also changing the need for estate planning. Addiction statistics show that more than 142 Americans die each day from a drug overdose. It’s also anticipated that more than 650,000 people will die over the next decade from opioid overdoses. 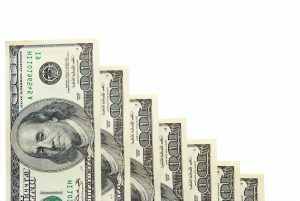 A family member suffering from addiction can generate unique concerns about estate and wealth planning. Estate planning professionals have for decades focused on tax planning- a valuable approach. However, a lot of tax exposure has been eliminated in recent years, although an addict can put unimaginable financial and emotional strain on a family. If you are concerned about someone who is addicted to opioids in your family, they may be exhibiting unpredictable or violent behavior, and this can lead to further conflict within the family. 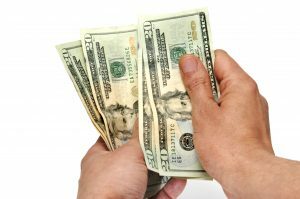 The addicted beneficiary should be given an opportunity to review any trust and then funding should be completed after the beneficiary signs the document. These complex issues highlight why it is so important to hire an experienced attorney who will be sensitive to your individual needs and protect your family and loved ones well into the future. The right lawyer is a major asset when putting together the paperwork for your claim. There are many different events in your life that may prompt you to think about the benefits of estate planning such as purchasing your first home or having a child or becoming a grandparent. Some of the events that occur in your life that can prompt you to consider estate planning can be more difficult than others. Cancer, unfortunately, is a reality that far too many people will face over the course of their lifetime and may impact many people across the country in an indirect or direct manner. Understanding the estate planning steps you can take to protect your assets and your legacy after a cancer diagnosis is important and should be done under the guidance of an experienced estate planning lawyer. There are new cases of cancer every year that affect 454 out of every 100,000 people and the annual cancer deaths affect 171 out of every 100,000 people. According to nationwide statistics, nearly 40% of women and men will be diagnosed with cancer at some point during their lifetime and cancer mortality is higher for men when compared with women. 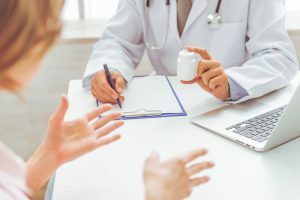 Impulsive actions caused by panic are common with anyone who has received a cancer diagnosis but sitting down with a planner to discuss the various strategies to address their complex challenges can be extremely beneficial. 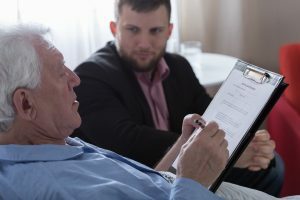 An inventory of all items that you own and a prioritized list of steps put together by your estate planning lawyer can help you to tackle the most important steps and determine whether or not you already have existing insurance and force that can help prepare you and your family for this difficult time ahead. 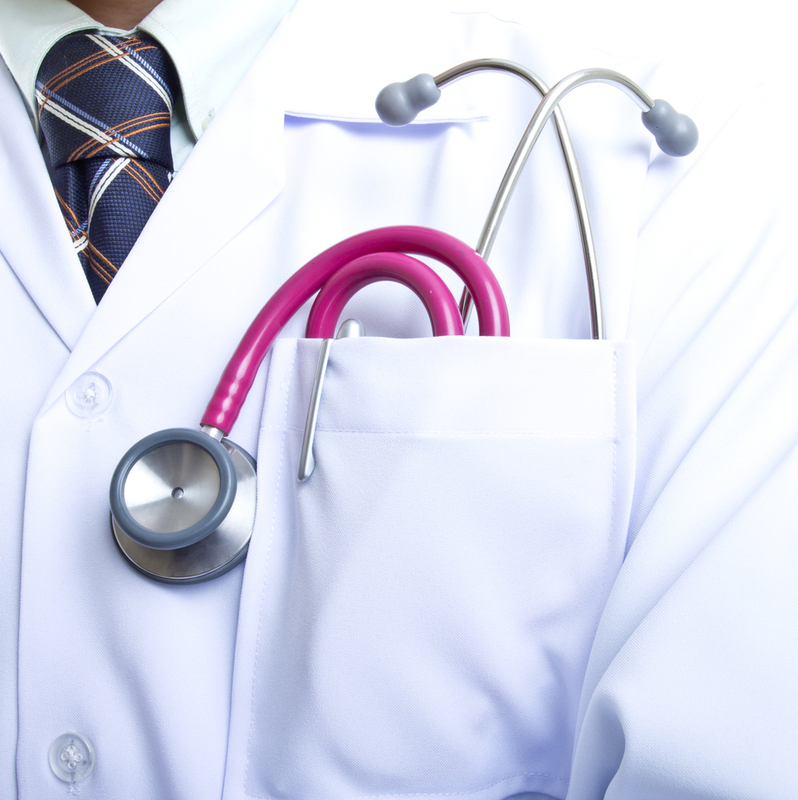 If you have questions about how a cancer diagnosis or any other major health issue affects your estate plan, contact a knowledgeable lawyer today. 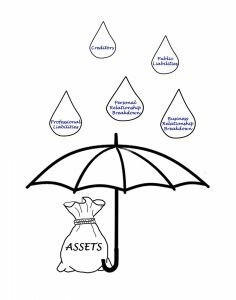 Most people who understand the basics of asset protection probably have a revocable trust that can be easily changed and will eliminate the need for probate or naming a guardian in the event that you become incapacitated or pass away. However, leaving this as your primary mode of asset protection is risky. This type of trust does not necessarily offer any additional protection against your creditors over the course of your life or after it. This critical lack of protection could make a big difference if you suddenly need money for long term care and you could be exposing your non-liquid assets to significant risk. Given that the U.S. Department of Health and Human Services identified that the average cost of long-term care is $138,000 per individual and that 50% of people in the United States will need assistance to meet their long-term care goals after age 65, it’s important to take a long-range view of asset protection as well. Just one negative asset protection event could jeopardize the entire structure of decades of financial planning. Thinking ahead often requires the insight of an experienced professional like a knowledgeable asset protection planning attorney. With so many things to think about, you don’t want to be caught unaware when it comes to your financial decisions. Just one lawsuit could jeopardize what you have worked so hard to build. 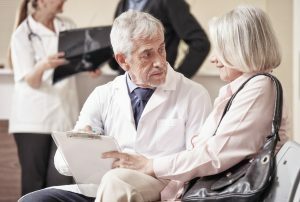 Proper asset protection planning and business planning is the next crucial step for helping families adjust for the rising costs of long-term care. Remember that it can take years for asset protection planning to be effective so it’s a process you need to engage with early and after consulting with a knowledgeable lawyer about. Divorce is not inevitable but many people find the process of thinking about their future finances and ending their marriage as extremely difficult when they are just planning the wedding itself. However, a strategic wealth plan can be an important component of asset protection planning. Divorce is a risk that every marriage faces. It is strongly advised that every individual thinking about getting married consider asset protection for their own sake as well as for the future of their children and future generations. The best financial protection that an individual who has any significant wealth entering into a marriage can provide is to put together an asset protection trust or classify a dynasty trust. Other multi-generational wealth planning tools can also be advantageous. This protection can help remove the wealth from the hands of future creditors, future ex-spouses, inappropriate beneficiaries or lawsuit decisions. This can also help individuals to avoid starting a marriage without having the uncomfortable conversation about prenuptial agreements. Having the assets protected inside a domestic asset protection trust or an irrevocable trust is strongly recommended. Security threats are more prevalent than ever and multi-family offices are being targeted in the most recent round of attacks. According to a recent study, only 9% of all respondents out of 55 family wealth firms were involved day to day in security risk management. Although up to 73% reported recent concerns associating incidents involving their clients. A comprehensive asset protection planning approach should always be taken for any wealthy family that is concerned about protecting the wealth they have worked so hard to build. The most prevalent type of financial issue affecting wealthy families, according to the study was credit card fraud. More than half of the respondents indicated that, at least one of their clients was a victim of credit card fraud in the previous year. Another unsuspecting and yet serious trend has to do with tax returns being hijacked. 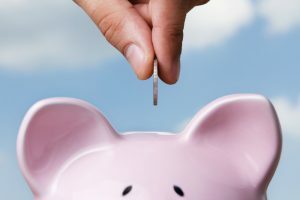 Given that there are many different ways that high net worth individuals can be targeted, including litigation or a spouse attempting to pursue personal assets as a stake in the divorce, it is extremely important for any high net worth individual to schedule consultation with an experienced asset protection planning attorney to talk over the benefits of advanced planning. In the process of asset protection planning, there are many different steps you need to take. You need to begin by separating your business assets from your personal assets. In addition, as you develop income diversity it is equally more important to consider business and personal assets as separate. This helps to protect these assets in different situations. For example, if you become the subject of a lawsuit, your creditors could tap into the businesses that you have worked so hard to build. Ensure that your business structures have been developed properly to protect any personal assets. Making use of trusts is one common way that you can engage in successful asset protection planning situations. An attorney who specializes in the process of asset protection can help you identify the right strategies and documents to assist you with this goal. 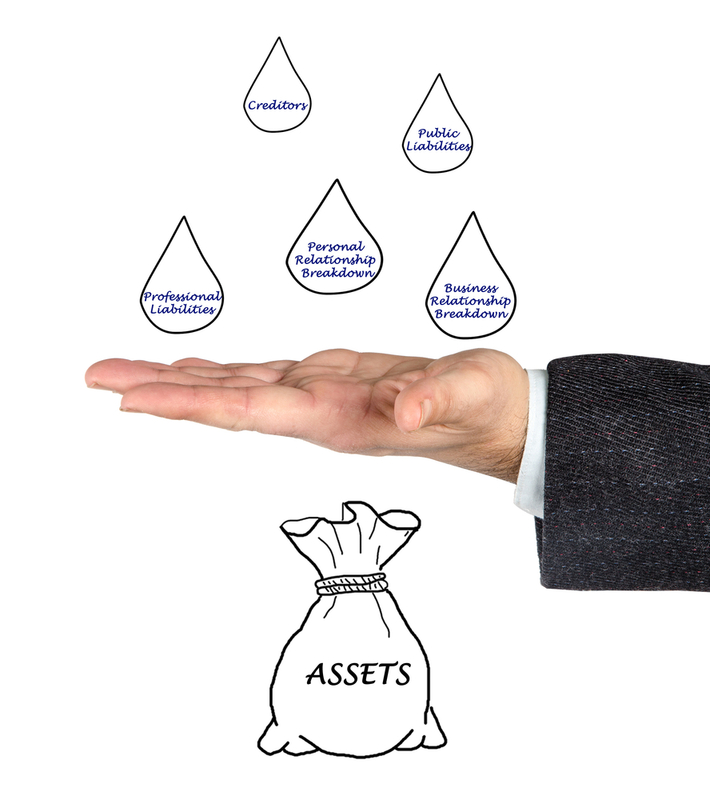 Getting assistance in managing your assets can be extremely important in the protection process. Having tight control over all of your assets at any time means that someone from the outside can successfully argue that you are truly in control of all the assets and that they are yours rather than being placed inside a trust and having the trust maintain the ownership. It is very important to have a barrier between you and your assets for this purpose. Unfortunately, there are many different risks that could jeopardize the control and future of your assets. Failing to take action until it’s too late could mean losing access to these assets and generating numerous unnecessary problems. Consulting with an experienced asset protection planning attorney could help. In today’s busy world it’s easy to overlook the numerous responsibilities that you have on your plate. Thinking about estate planning, running a business, managing your family, and dealing with all of the details associated with day-to-day life in the US can be overwhelming. That being said, you have worked so hard to establish your assets and your growing wealth. 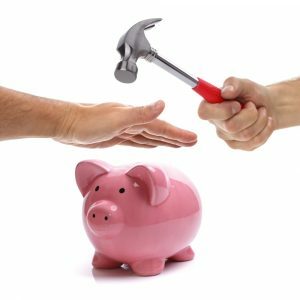 In the event that you ignore these, you could find yourself in big trouble down the road if you do not engage in the process of asset protection planning. One of the most important things you can do is to set up a meeting with an experienced asset protection planning attorney. Without a plan in place, you expose yourself to risks associated with a divorce, lawsuit, or creditors coming after you. In the blink of an eye, all of your assets may be exposed immediately in just one unfortunate event. If you take some time to continue the planning process with a lawyer is important. You have put a lot of effort into protecting your family and building your own personal legacy. You should be concerned about protecting it, too. There are many different strategies available to you that can help you accomplish estate and asset protection planning goals at the same time. 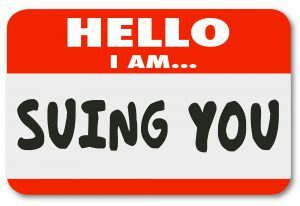 You should not hesitate to reach out to a lawyer when you find yourself in this situation.